Don’t you just love the people that decide that they won’t trust the corporate spiel or the possibly massaged results and figures which are banded out by companies. These people decide to take action and see what the real story is for players as opposed to waiting around to be told what is a success. Given that the online poker market in America has sprung to life in a number of states, there is obviously going to be a competition and PR amongst the states. The unique nature of the legislation means that the states aren’t technically competing against each other, but when has that ever stopped healthy competition from breaking out? Brian McGill has a job of following casinos and slot machine manufacturers that are traded publicly decided that he wanted to take his gaming analyst role a step further. Being based in new York, he found himself in the position where he could physically try out the online poker opportunities provided in Delaware and New Jersey. 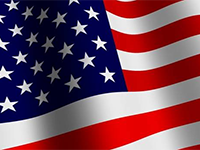 This is the sort of analysis that will help people to find out more about USA online poker sites. There is going to be a lot of promotion and marketing activities, which can sometimes skew the figures. Therefore, finding someone that has gone to the trouble of physically testing the different areas will allow players to make a more informed decision about what is really on offer. As you would expect, there were problems in both of the states. It is still very early days in the era of legislated online US poker player and it would be wrong to think that everything would run smoothly straight away. Brian found that there were numerous sign-up problems and issues for New Jersey players when they were looking to sign up. In Delaware, the issue was that the market was just too small. Studies showed that even at peak times, the online count of poker players was not even reaching up to 50 poker players a day. Again, as more and more people develop confidence in what Delaware has to offer, this will rise but there is no denying that there will be a slow process. In comparison, in Nevada, the average count of daily poker players stands at 200 players, so there is a lot more online poker action taking place on that site. Of course, given the natural link between Nevada and gaming, and the fact that so many major casinos have worked quickly to get involved with the process means that there is a lot more on offer to Nevada players. With names like Caesars Atlantic City, Bally’s Atlantic City, Tropicana, Trump Plaza, Trump Taj Mahal and Borgata all delivering online poker options, Nevada based poker players have all the options they need to enjoy playing poker online. This stands in huge contrast with Delaware where the major local companies are three racetrack companies. This means that they know a lot about betting and gaming but they may not be too enamoured with skills and talent with respect to providing poker players and on-line gamers with what they are looking for in life. 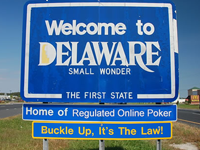 Brian McGill has concerns over the growth of Delaware’s online poker market and thinks that the people behind the local offering have badly misjudged the amount of promotion they would need to get it off the ground. In contrast, McGill thinks that there is definitely growth potential from New Jersey. This is down to the fact that the state has more than 9 million people and because it is so close to many population hubs on the East Coast of America. New Jersey is being considered by those looking for a pro and negative outcome from the online poker community as providing the results that will strengthen their gambling. There is an argument that how New Jersey deals with certain problems, such as blocking underage poker players, looking out for problem gamblers and keeping a control on state borders will influence the rolling out of online poker across the country.